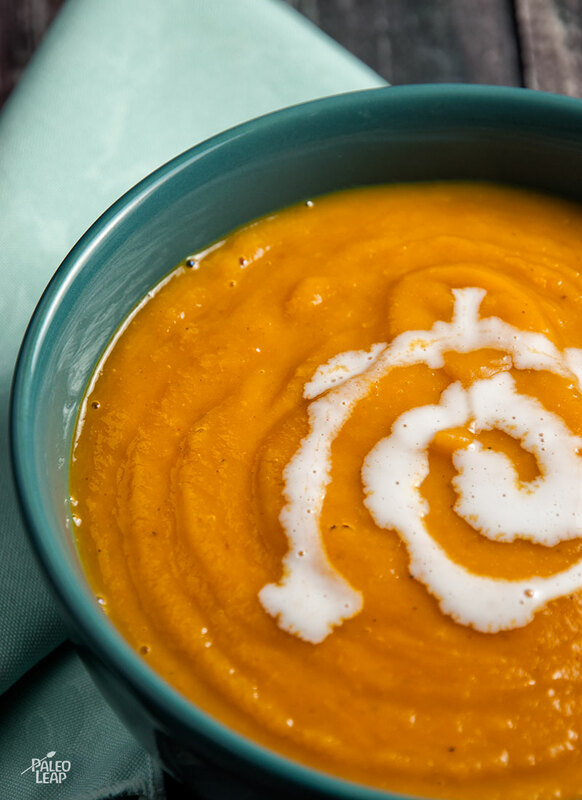 In honor of the slow-cooker, here’s yet another recipe for it: a creamy, savory soup full of sweet potatoes, velvety chicken stock, and plenty of aromatics. If you want it for dinner, put it in while you’re making lunch and cook on low; if you want it for lunch, put it in at breakfast time and cook on high. 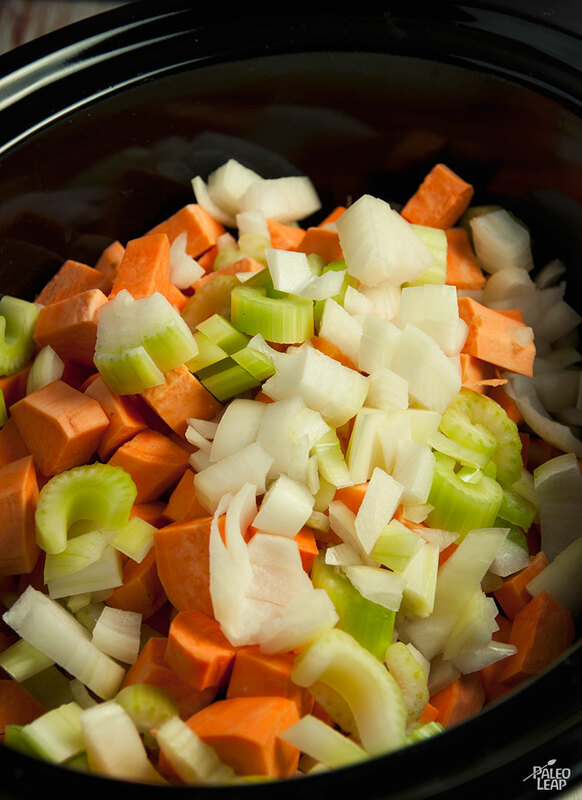 Of course, you could also make it on the stovetop: just bring to a boil, reduce to a simmer, and cook until the sweet potatoes are soft. This soup is another one that plays very nicely with restricted diets. It’s autoimmune-friendly exactly as written, and if you make it with vegetable stock, it’s vegan as well. To make this into a light lunch, all you really need is some protein and a little extra fat (and maybe some more vegetables). Serve a bowl of soup with a big leafy salad, or maybe just some quick grilled chicken or a pork chop, and a drizzle of coconut milk on top just to make it pretty. SERVES: 4 PREP: 20 min. COOK: 4 to 6 h.